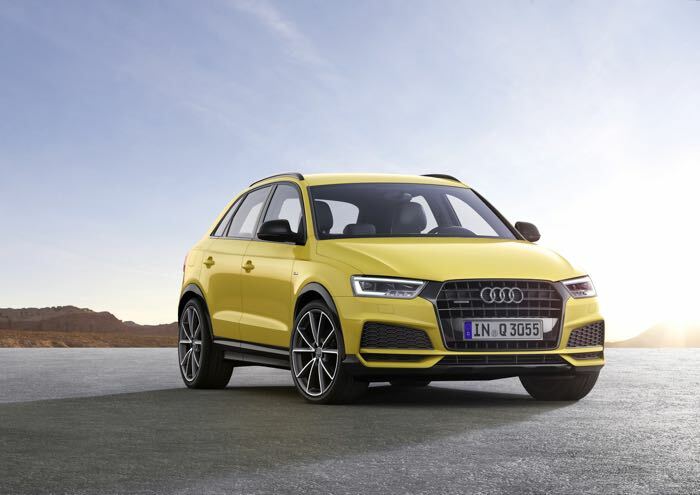 Audi has announced that they are updating the exterior styling on their Audi Q3, the company is also launching a new S sine exterior package and a new model the Audi Q3 S line competition. Audi makes its bestselling Q3* even more attractive. New details in the exterior design more sharply differentiate the design and sport trim lines as well as the S line exterior package. The Audi Q3 S line competition augments the lineup with a sporty new special edition. Start of sales is scheduled for fall 2016. The updated Audi Q3 differentiates more sharply than ever before between the trim lines and packages. In the sport trim line, the premium SUV gets a new front end. The outer air inlets are larger; the blade beneath the center inlet is finished in the body color and the Singleframe grille in stone gray. You can find out more details about the update Audi Q3 over at Audi at the link below, prices for the new Audi Q3 S line completion starts at €33,050.